Taking account of modern society and TV evolution, many people choose to buy a flat screen TV as it offers several advantages over previous TV types, as the old television CRTV. However, these new, more luxurious TVs often have a high cost, which makes it even more terrifying when the TV stops working. Fortunately, the television screen resolution and troubleshooting is much easier than you think. Of course, the repairs may still require some new parts, but a new flat screen TV is always better to buy. If you have invested in a brand new flat screen TV but you’re already experiencing problems with it, you must be dreading the thought of having to buy a new one or pay for expensive repairs. However, fixing these issues may be a lot easier than you think. Here’s a guide of the most common issues and how to fix them. 2. Cracked screen – petroleum jelly can also be used for small cracks. Clean the surface with a cloth dipped in diluted isopropyl alcohol then. Then, using a clean eyeglass cloth, apply petroleum jelly evenly and remove any excess from the screen. 3. 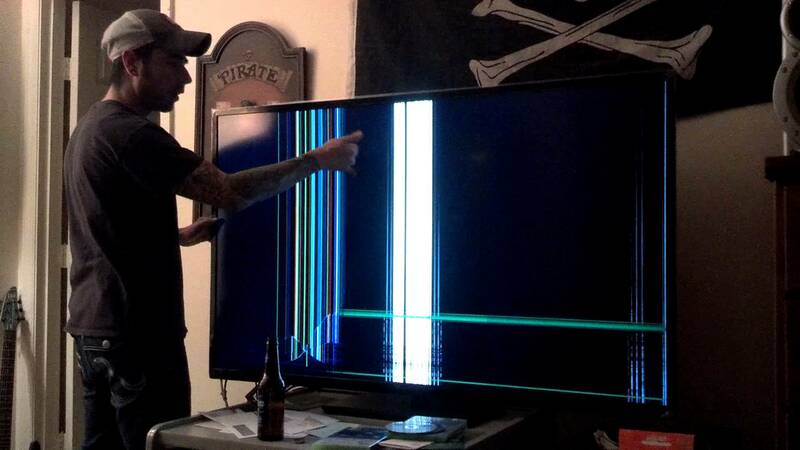 Broken screen – for a broken screen you can either have the screen replaced (by yourself or a professional) or replace the TV altogether. If you choose to replace it, locate and unscrew all the frame screws and then set the frame aside. Disconnect all the cables connecting the frame to the screen whilst ensuring you take notice of what goes where. Remove the broken screen and place the new one in, then plug in all the wires, re-assemble the frame and secure it with the screws.